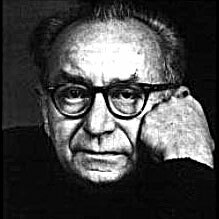 American composer Vincent Persichetti was, along with William Schuman and Walter Piston, one of the foremost representatives of what has become known, somewhat inappropriately, as the American academic school of composition. Born in Philadelphia during the First World War, Persichetti began studying music at the age of five, taking lessons in piano, organ, and, later, theory and composition. During the mid-1920s Persichetti began to find work as an accompanist and radio pianist, and by age sixteen his skill at the organ had earned him a position at Arch Street Presbyterian Church, which he retained until the 1950s. Persichetti entered Combs College of Music, studying with composer Russel King Miller while still attending public school, and in 1935 he took a BM in composition from Combs. Persichetti was appointed Head of Music Theory at Combs immediately after graduating, and throughout the late 1930s combined these duties with studies in conducting with Fritz Reiner at the Curtis Institute, eventually earning a diploma in conducting, and in piano with Olga Samaroff at the Philadelphia Conservatory, taking both a MM and a MusD. Persichetti accepted an invitation to take over as head of theory and composition at the Philadelphia Conservatory in 1941, and in 1947 he joined the composition faculty of the Juilliard School. To his already bursting r�sum� he added the distinction of becoming Editorial Director of the Elkan-Vogel publishing house in 1952. Awards and commendations were showered on Persichetti until his death in 1987. Three Guggenheim Fellowships, two grants from the National Endowment for the Arts, the Brandeis University Creative Award, the first ever Kennedy Center Friedham Award, and the Juilliard Publication award are just some of the more noteworthy such honors. Persichetti was, by all accounts, a pianist of virtuoso caliber, and his 12 sonatas and three concertos are among the more important American works for the instrument, though there are relatively few performers who dare tackle the myriad technical and interpretive difficulties within this impressive body of work. His talent as a conductor is manifest in nine symphonies, and among his prolific chamber music output are four string quartets, a piano quintet, and 15 works called Serenade that employ fifteen different instrumental combinations. Persichetti's compositional language was a panorama of twentieth-century techniques; he moved between tonality, atonality, polytonality and modality with fluency. In addition to his ceaseless activities as a composer and educator, Persichetti found the time to write an important textbook on modern compositional practice, Twentieth-Century Harmony: Creative Aspects and Practice, and a 1954 biography of composer William Schuman.